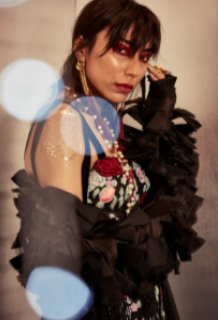 High on shine and highlighter, we decode the fabulous looks for POPxo Fashion's December cover shoot. 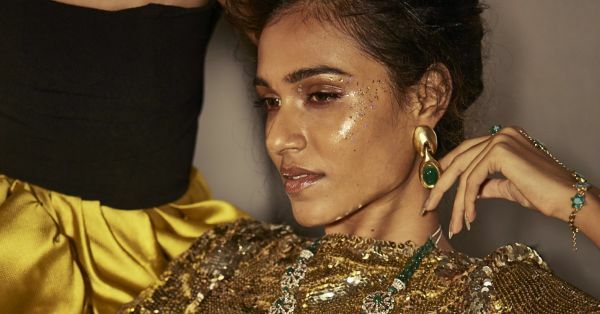 Make-up artist, Riviera Vaz tells us how to switch up our application to achieve a high-shine look for the party season. 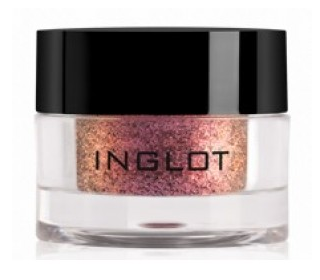 Shine bright like a diamond this season, as you imbibe glitter into your makeup routine this season. 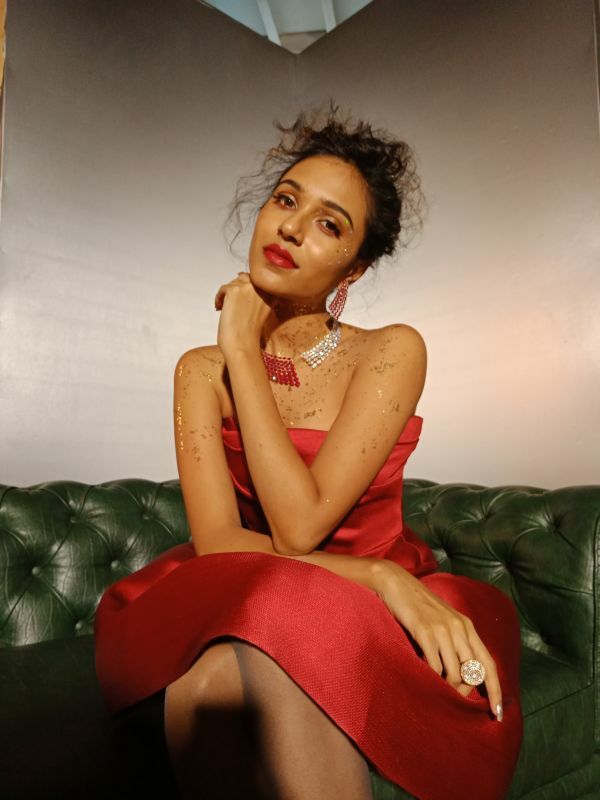 For the shoot, makeup artist Riviera Vaz worked with different shades of red, gold, and silver to achieve the high-shine look. “Prep and moisture your face with the Elizabeth Arden Eight Hour Cream and highlight the cheekbones using MAC or Inglot metallic pigments,” says Riviera. For the dramatic eyes, she used store-bought glitter, Diorshow Volumising Mascara and an eyeshadow palette from MAC. In the mood for a more subdued look, Riviera focused on matte tones and beautifully highlighted cheekbones created using a bronzer. 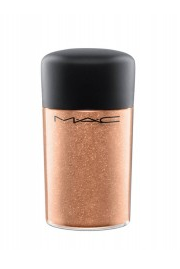 The bronzer can also be replaced with shimmer pigments from MAC or Inglot. The Nars Shimmer Lip Gloss gives a natural shine to her lips, making them glossy and party-ready, and we totally love the wild curls. As a style-obsessed person, we always gravitate towards beautifully designed smartphones. But what can be more exciting than a phone that looks good? 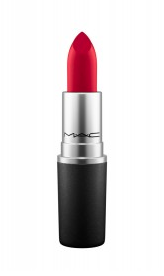 Is the one that makes YOU look good. Case in point, the OPPO F5 that makes the POPxo Fashion magazine’s December cover pop. The A.I Beauty recognition technology enhances your selfies in a natural way. 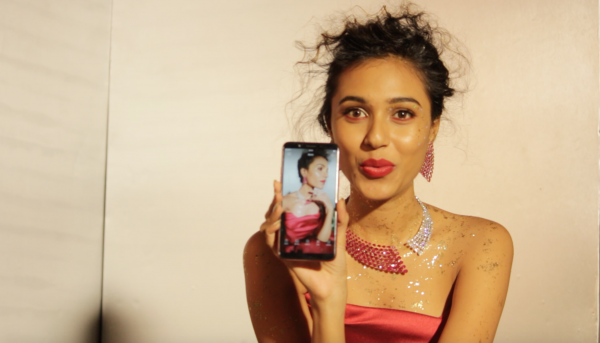 At par with a professional camera, this wonder gadget worked its magic to capture the beautiful models for the shoot. 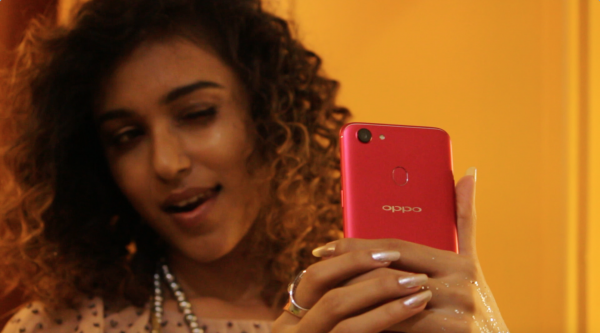 Scroll below to see more behind-the-scenes pictures from our cover shoot captured on the OPPO F5.